Once you arrive home to Park at Galleria, you can relax by our swimming pool and work out in our fitness studio. Pet Policy: We welcome 2 pets per apartment home. There is a $350 pet deposit (non-refundable) for one pet, or $500 (non-refundable) for two pets. Pet rent is $10 per pet per month. There is a weight limit of 50 pounds per pet, and aggressive breeds are prohibited. Please call our Leasing Office for complete Pet Policy information.  Parking Comment: Surface parking available or optional Garage parking.Please call us regarding our Parking Policy.